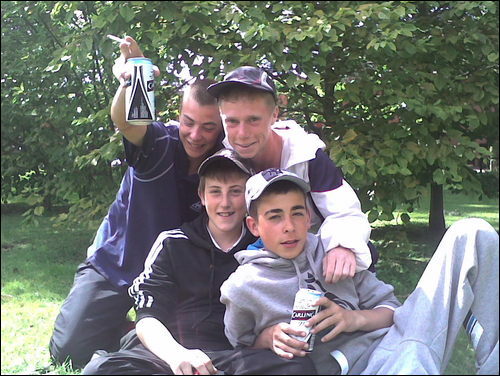 One thing I definitely don’t miss about living in the UK are the large number of ‘chavs‘. These Elizabeth Duke blinging, cap-wearing, burberry tracksuited, ASBO flouting, hooded fools make life a misery for the general populous of most English towns. I was particularly pleased, therefore, to see the creativity and ingenuity of a group of Scottish schoolkids, who have made a chav-hunting video spoof. Of course, a lot of people are up-in-arms about it. I can see purple haired old ladies and tree-loving liberals getting out the green pens and looking up newspaper editor’s addresses as we speak. Video has been pulled from YouTube, but I’m sure it’s pretty easy to find. You are currently browsing the archives for the chav category.